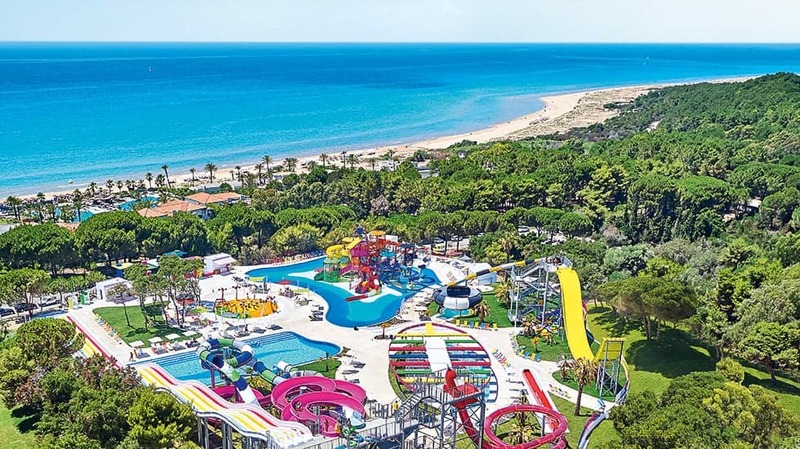 Set in a 500-acre estate along a 2 km sandy beach in Kyllini, the 5-star Grecotel Olympia Riviera and Aqua Park features a freshwater pool, 2 seawater pools and a spa centre. 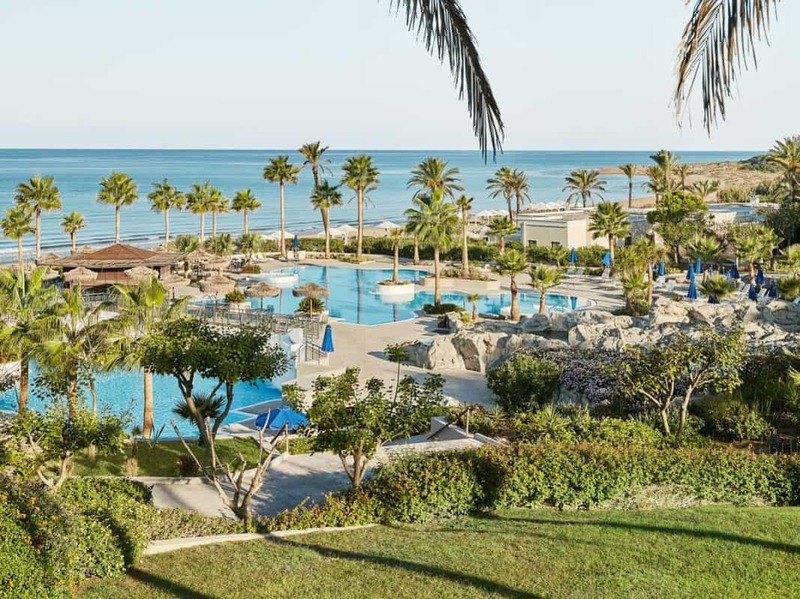 Classically decorated with arched walls and white tones, the resort offers a variety of dining options, including international and Mediterranean cuisine, and a wide range of facilities. 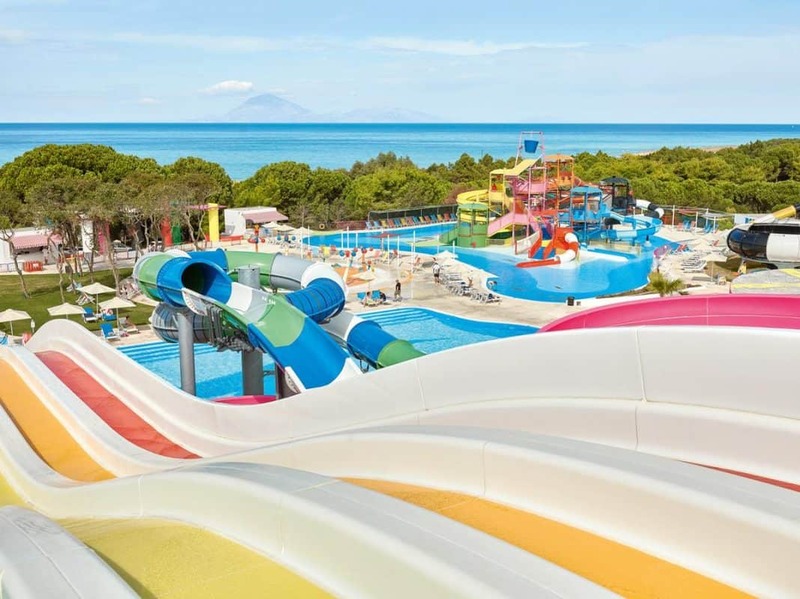 Guests benefit from a free entrance to the new exclusive water theme and adventure park, Olympia Aqua Park. 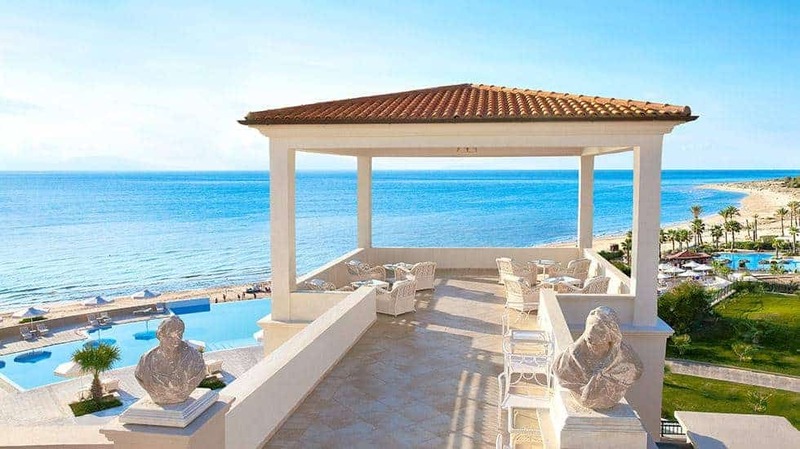 Fitted with floor-to-ceiling windows and elegantly decorated in beige tones, the rooms, suites and bungalows of Olympia Riviera open to a balcony or terrace with Ionian Sea views. Each is air conditioned and equipped with a fridge, a safe and a satellite TV. The luxurious bathrooms are stocked with bathrobes, slippers and free toiletries. 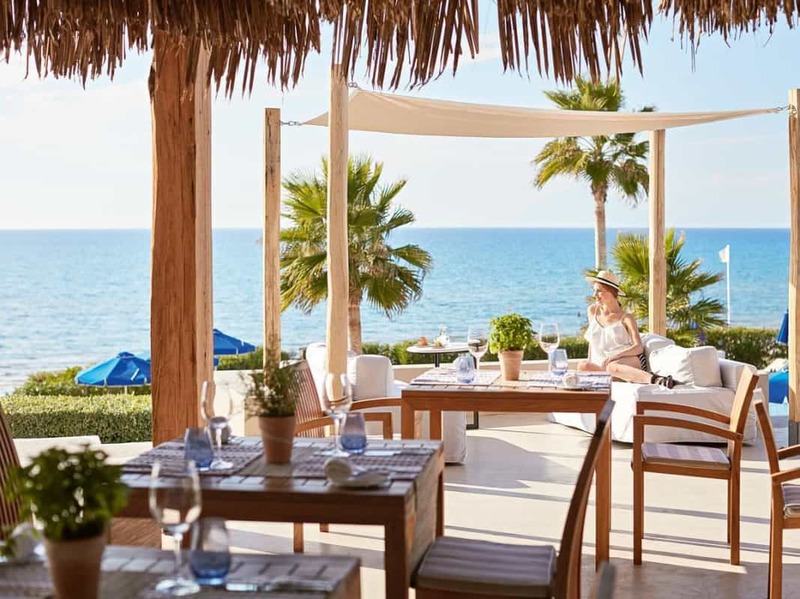 Guests can start their day with a breakfast served daily at the sea-view Sunset Restaurant, where international dishes can also be enjoyed for lunch or dinner. 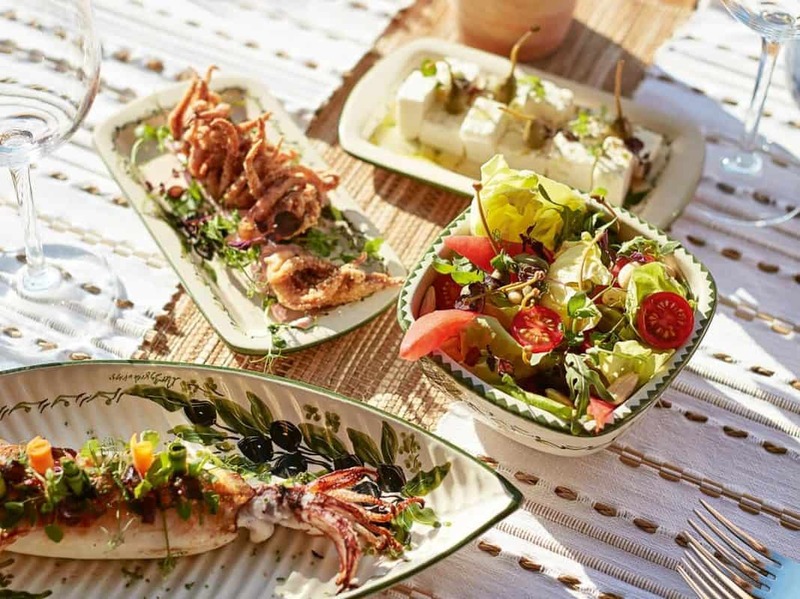 Fresh fish and seafood is served at the poolside Sea Dunes Restaurant, while drinks and cocktails are available at the terrace bar or at the poolside bar. Guests can choose to dine in any of the 15 restaurants and bars of the Olympia Riviera complex. 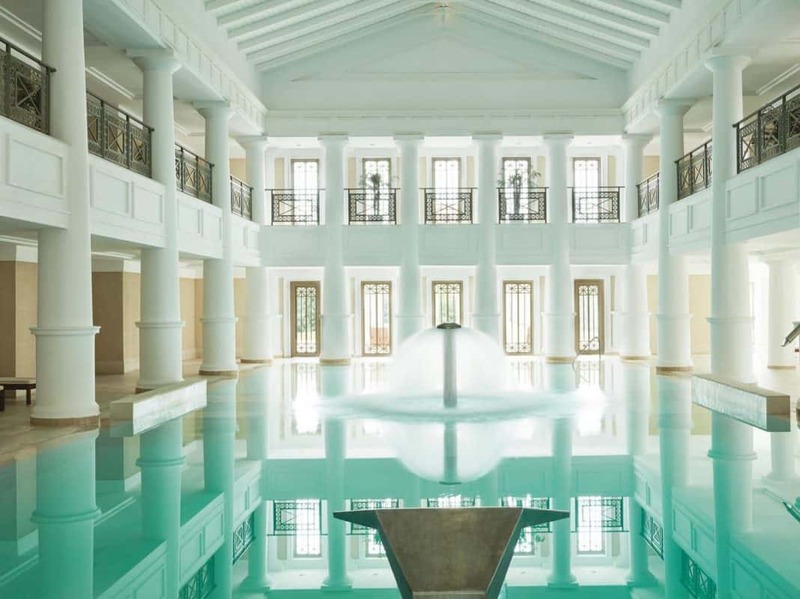 The 4,500 m² Elixir Thalassotherapy Centre includes an indoor pool, hot tubs, massage rooms, sauna and a fitness room. 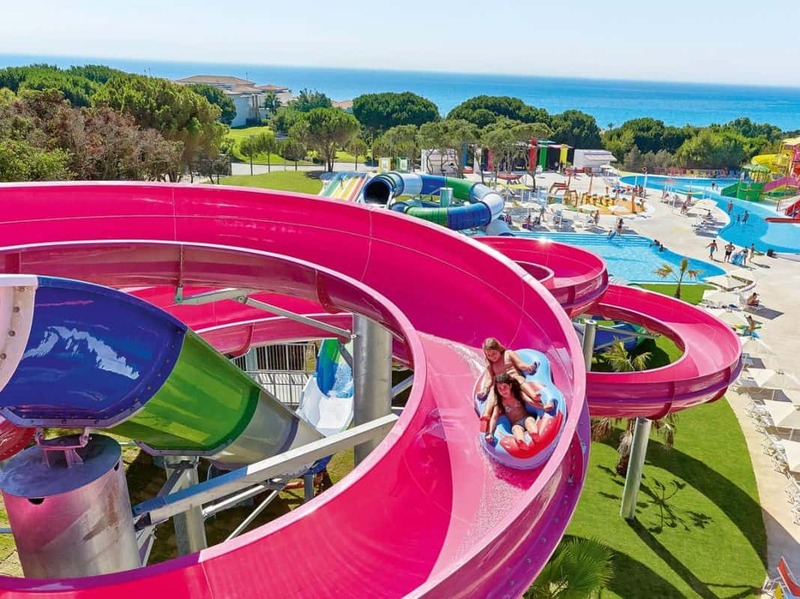 Younger guests can spend their time at the at the Grecoland Club including paddling and children’s pools, waterslides and playgrounds. 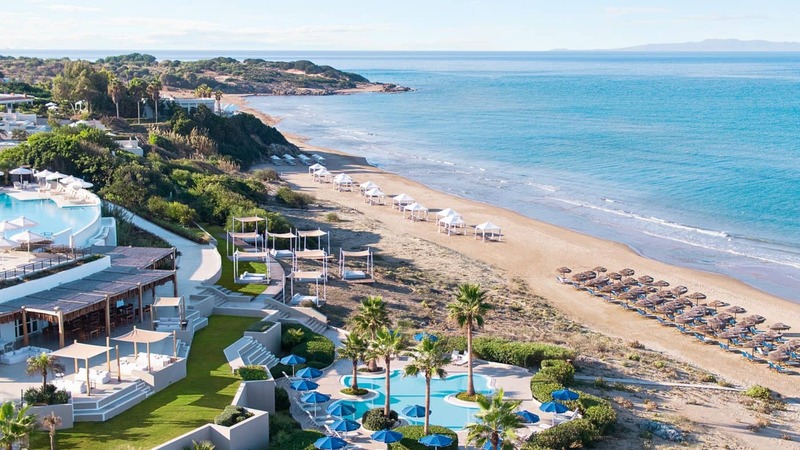 The 24-hour, multilingual staff of Grecotel Olympia Riviera and Aqua Park can arrange car rental or airport transfer upon request. Concierge and room service, as well as currency exchange are also available. A spacious conference centre with a variety of modern equipped meeting rooms is featured at the premises of Olympia Riviera Complex. 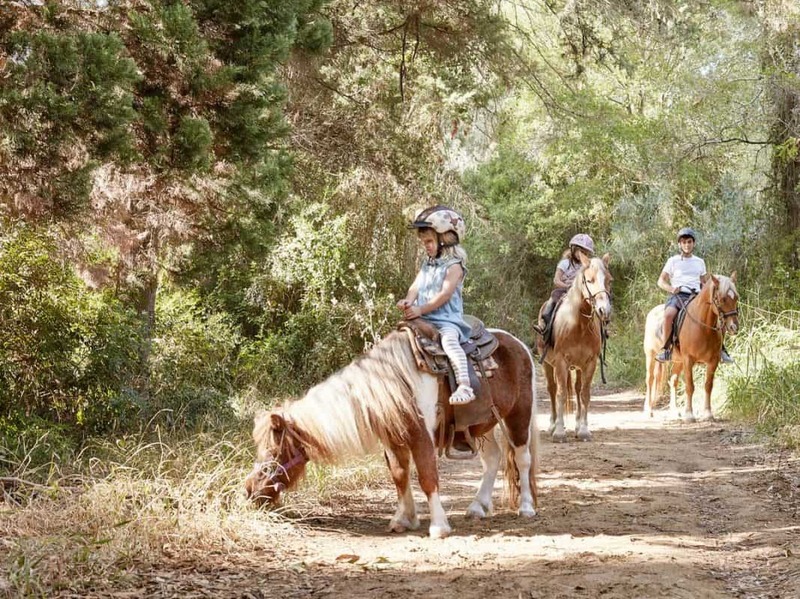 Kyllini Town and Port are located 14 km from the resort, while Arkoudi Village is 2 km away. The town of Amaliada is at a distance of 28 km. Free on-site parking is provided and free WiFi access is available throughout.